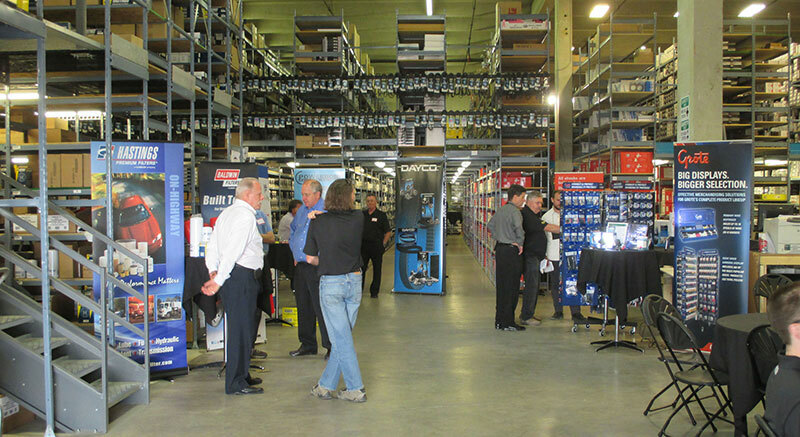 June 25, 2014 BESTBUY Distributors Limited was proud to announce the grand opening of its newly expanded Distribution Centre in Edmonton. This facility adds a new dimension to the BESTBUY organization – increased buying power, improved access to additional lines and the ability to easily and efficiently ship to Western Canada shareholders and open warehouse accounts. BESTBUY shareholders, suppliers and industry friends attended the Open House and ribbon cutting ceremony on June 17th. The newly expanded Distribution Centre has translated into an increase in BESTBUY’s overall sales volume. With BESTBUY’s equitable sourcing opportunities and equalized freight policies, Western Canada members are able to obtain aggressively priced product from the Distribution Centre, regardless of their geographical location. For more information, please contact Kim Bishop at 905-673-1276.